I want to talk about my decision to fundraise for the Tampa Bay HEAT. My decision is based on something bigger than the gratitude I feel for this organization. I am fundraising for the HEAT’s dream of a full service school building because I see a tremendous need for it. As I have encountered various homeschool groups in the last two years, I have noticed a pattern. Each group tends to have a particular focus: academics, informal fellowship, or sports. Of course, these goals overlap, but most groups give priority to one category over the others. Without question, the hardest need to satisfy when homeschooling is participation in team sports. “Tebow” laws are great but not a complete answer to the question of how we provide team sports to the homeschooling community at large. Groups like the HEAT provide these needed team sports. They have popped up all over the country. Here are just a few examples: Richmond VA, Knoxville TN, Lakeshore WI, Albuquerque NM, and West Michigan. I don’t know how every group finds space for practice and home games. I don’t know which ones have an easy time finding the space, and which ones have a hard of it. Except the HEAT. I know they have a hard time. A huge chunk of their efforts and money goes to finding and renting practice space, and then finding and scheduling games against local private schools. Their need for a gymnasium and sports field is as obvious a wart on a prom queen’s nose. I’ve also seen how an effort like the HEAT draws so many other incidental programs: academic classes, special interest clubs, field trips and social gatherings. I couldn’t help but imagine how easy and wonderful it would be if they could do all these things under one roof. A homeschool building. When I mentioned this to the HEAT’s founder, Teresa Manganello . . . well. It turns out I was preaching to the choir. It also turns out that at least one homeschool community has already turned this vision into reality: The Homeschool Building. The facility in Wyoming, Michigan, is a great example of how a thriving homeschool community can come together under one roof. Their school facility provides for the needs of the homeschooling community without assuming responsibility for the academic curricula. Did you catch that? Folks have a hard time imagining how their homeschool sports league could have blossomed without the support of a homeschool-run school building. It’s funny; we homeschoolers escaped brick-and-mortar schools in the best interest of our children. Now, it turns out that brick-and-mortar buildings may be the best bet for homeschooling’s future. Please consider donating a purely symbolic amount to the Tampa Bay HEAT building fund, here: http://www.youcaring.com/nonprofits/tampa-bay-heat-mustard-seed-dream-fund/64690 So far my pledge to match up to $500 total of donations from my readers has elicited only one small donation. Help me out here, guys, could you? Just put in the comments that you donated as a No One Of Any Import reader, and I’ll match it up to a $500 total. Yeah, it’s just a retired Colonel and some no-good civilian “Civil War expert,” but the article was published in what was termed a “respected” military journal. People who like to play expert with respect to things about which they really have no expertise nor understanding whatsoever . . . well. Hopefully their foolish words are meaningless. I, for one, know no military members willing to engage in this type of operation. When Religious freedom is threatened who do you want to stand with? Well, in North Korea, anyway. Dear Leader is in South Korea where he visited the DMZ to stare across the border at the squalid country of North Korea. If a country can’t feed its people effectively, if it can’t make anything of any use to anybody, if it has no exports other than weapons and even those aren’t ones that in any way would be considered state of the art. “If it can’t deliver on any indicators of well-being… for its people… then you’d think you’d want to try something different,” Obama said in a highly undiplomatic and unusually frank public appearance. From there he went to Seoul, where a free market creates a bustling and vibrant economy. And even with the stark contrasts between the results of freedom vs. government control, the president just doesn’t get it. North Koreans enjoy income equality, one of the president’s stated goals. 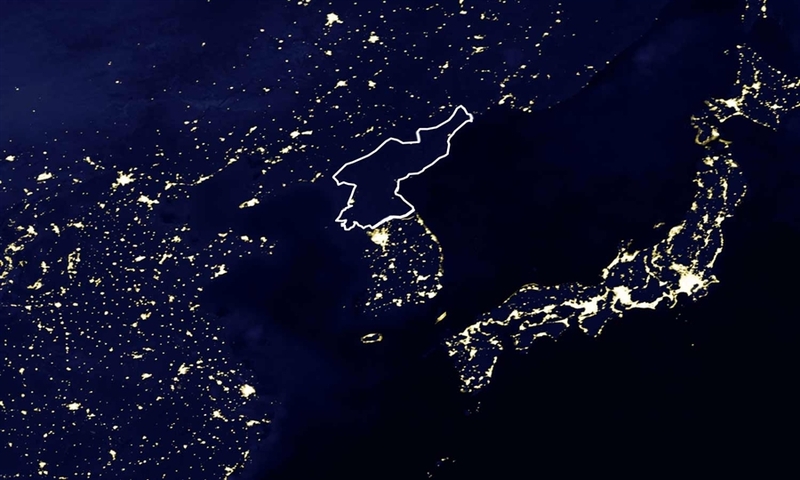 I’m sure North Koreans also enjoy equal access to health care. Most American leftists believe in socialism and feel the only reason that it’s failed every time it has been tried is because it wasn’t administered by the right people. The right masterminds can make it work just fine.